It may have escaped your attention, given the lack of publicity, but there is a large sporting event about to get underway in England’s capital city. The London 2012 Summer Olympics start tomorrow, with the Paralympics to follow on August 29th. The Olympic Zone is the location of many competition venues and the Athletes’ Village. We previewed many of these locations late last year, when a number of them were still under construction on the satellite images. 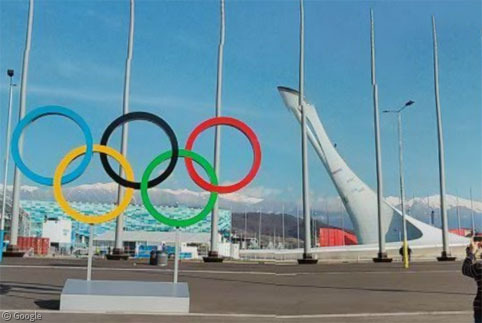 It’s possible that Google will release up-to-date Street Views of the venues, but for now we’ll take a look using a combination of Google and Bing, which has new images of some locations, including the Olympic Zone. 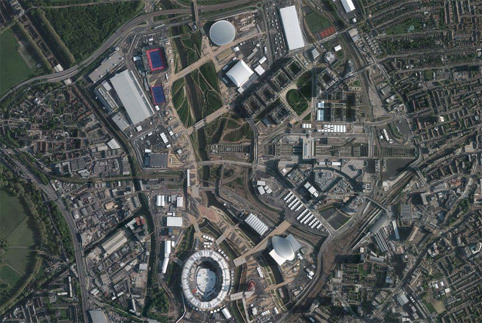 The Olympic Zone is part of the Queen Elizabeth Olympic Park which was developed on a former industrial waste land, and has a new high-speed rail link – the ‘Javelin’ – connecting Stratford International Station to central London. 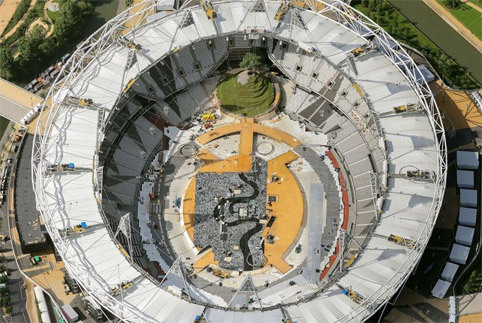 The 80,000 capacity Olympic Stadium will host the athletics competitions as well as the opening and closing ceremonies which are being created by Danny Boyle, the director of the films Trainspotting and Slumdog Millionaire. 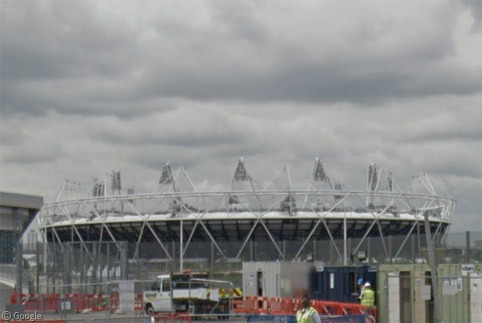 During the lead up to the Games there is still an ongoing legal battle to determine who will get to use the Stadium after the Olympics, with several groups – including football teams – bidding for it. However, most of them would want to tear up the running track, meaning the stadium could no longer be used for athletics events. 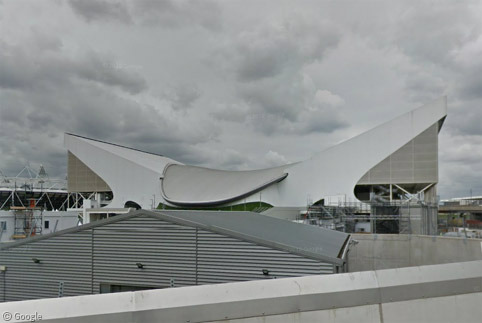 To the east of the Stadium is the Aquatics Centre where the swimming and diving events will take place. With two full-size swimming pools and a separate 25m diving pool the building has been praised as a facility that will have lasting impact for people living in the area. However, the elegant sweeping design will only be fully revealed with the post-Games removal of two blocks of temporary seats attached to the sides of the building. These additions bring the venue capacity to 17,500. Between the Stadium and Aquatics Centre stands the ArcelorMittal Orbit1, which – while intended to be a bold piece of public art – to me vaguely resembles a cross between a roller-coaster and a corkscrew. 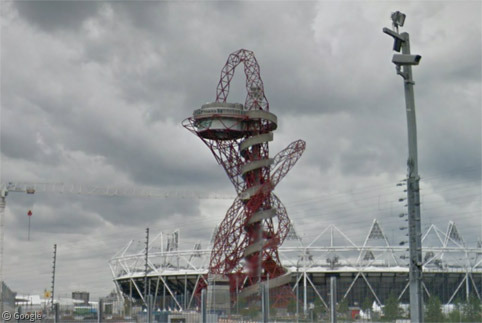 The 115m (377ft) tower designed by Anish Kapoor and Cecil Balmond has viewing areas providing panoramic vistas of the Olympic venues and surrounding area, though the £15 it costs to visit is seen by many as being too expensive. 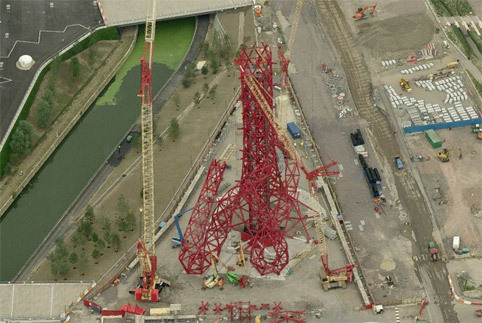 Bing Bird’s Eye imagery caught the Orbit in mid-construction. 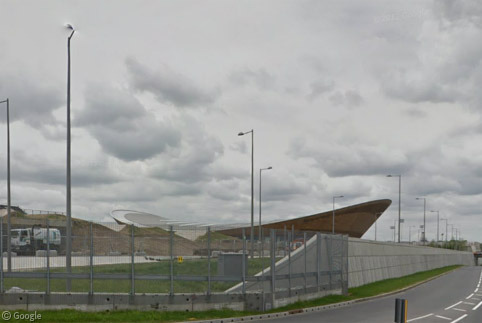 At the north end of the Olympic Zone is the London Velopark, with an indoor velodrome and outdoor BMX track. Both will hold 6,000 spectators for the Games. The distinctive shape of the velodrome has led to it being nicknamed ‘The Pringle’. The track was constructed out of 56km of siberian pine and more than a third of a million nails. 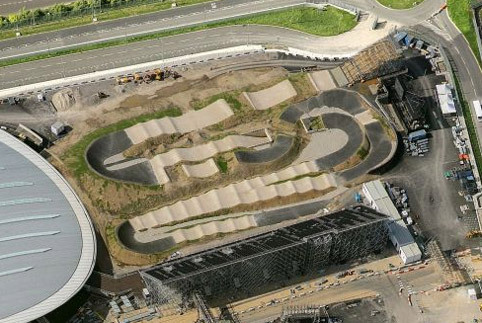 The BMX track is almost half a kilometre (500 yards) in length, and with an 8m (26ft) start ramp it has been criticised as potentially dangerous in high winds. There are three new indoor arenas in the Olympic Zone. The Copper Box has 7,000 seats and is the only arena which will be retained here after the Games. It will house the earlier handball rounds, as well as pentathlon fencing events, and the Paralympic goalball games. 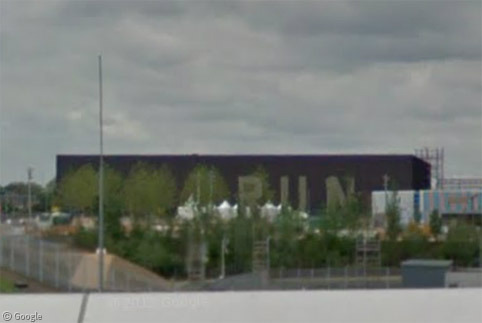 It’s hard to tell from the distant Street View, but the word ‘RUN’ isn’t part of the building’s exterior. It is actually three 9m (29′) tall sculpted letters, which are lit by LEDs at night – part of an ambitious public art program in the Olympic Zone. The 12,000 seat basketball centre will also host the handball finals, and the wheelchair rugby competition during the Paralympics. It will be relocated following the Games. 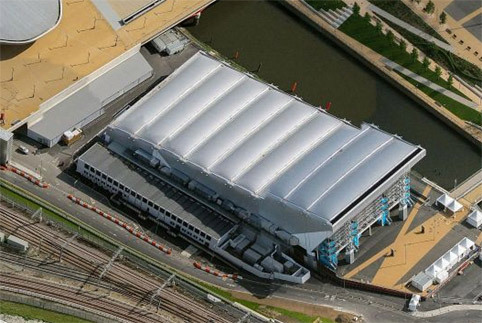 The water polo arena, next to the Aquatics Centre, is a temporary structure with 5,000 seats which will be dismantled after the Games. While it is called Riverbank Arena, this facility actually hosts two stadiums which will be used for field hockey during the Olympics, and 5/7-a-side football during the Paralympics. The larger field holds 15,000 spectators, and the smaller one a third of that. Beyond it is the broadcast centre where the world’s media will be based. 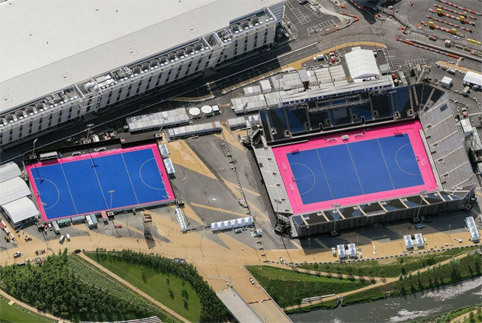 Following the Games the main hockey stadium will be relocated north to Eton Manor, a sports facility which will also host the Paralympic wheelchair tennis competitions on nine separate courts, in addition to temporary training pools for all of the water sports. 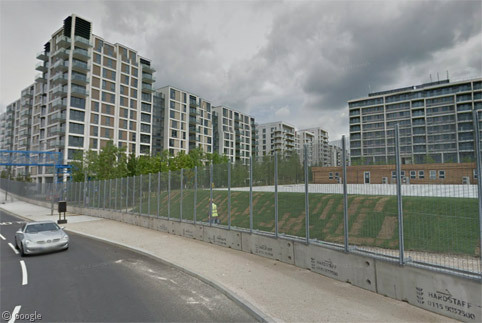 The roughly 17,000 athletes and team officials (4,200 athletes for the Paralympics) will be housed in the Athletes’ Village, which comprises a number of new apartment buildings which will be sold to private owners after the Games. 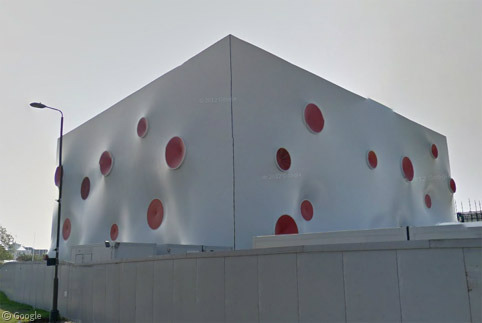 Tomorrow we’ll take a look at some of the venues outside of the Olympic Zone, but meanwhile Wikipedia and the London 2012 site both have much more information about all of the venues. Formally, London is the capital of the United Kingdom. What actually comprises Britain is a moot point, as it may or may not include Ireland, including the Irish Republic or excluding Ulster. Specifically, the IOC awarded the Games to London, and although a number of sports are taking place in venues outside the city for reasons mostly to do with the suitability of particular resources, none the less these are the London games, not the UK’s, which is why the financing is coming from both national and regional taxation in London: the national taxation was added once it became clear the original regional plan was insufficient. 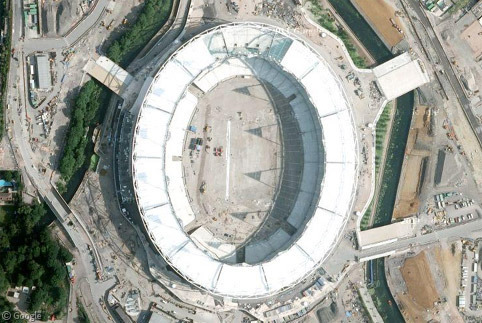 Excellent coverage, I don’t think I ever grasped how big it actually is before. Apologies for the England/UK/GB error. This former Brit moved to Canada quite a while ago and I guess I’ve forgotten my geography lessons. Glad you enjoyed the post anyway. 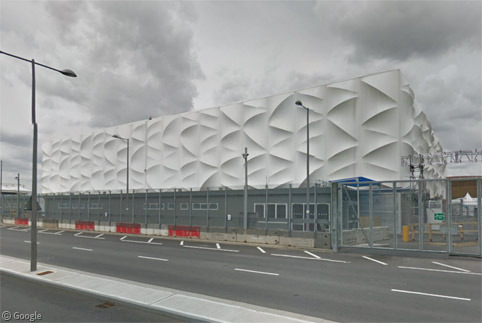 Google released Street Views of the Olympic Zone this morning, but with lots of construction fencing still in place, and no coverage inside any of the venues, it’s a bit disappointing, especially considering what they were able to do in Vancouver a couple of years ago. 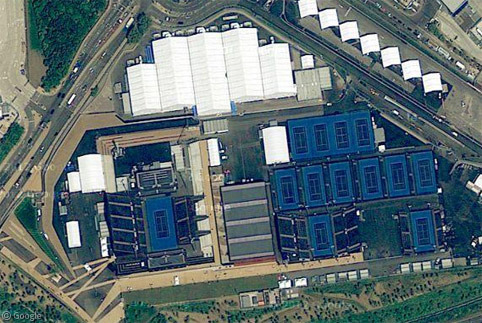 Google did update their satellite images,In Google Earth it says they were taken May this year.